We encourage and appreciate pie reservations and special orders. The following are guide lines, but please always call for availability. We strive to do whatever we can to meet your pie needs. In Season, reserve any of our two crust fruit pies, in either the regular (9 in) or cutie pie (5 in) with 12-24 hours notice. Off Season, please allow 1 week notice. Gluten Free, Creme Pies, No Sugar Added, Crumble Top. In Season, please try to allow 3 days notice. Off Season, please allow 1 week notice. 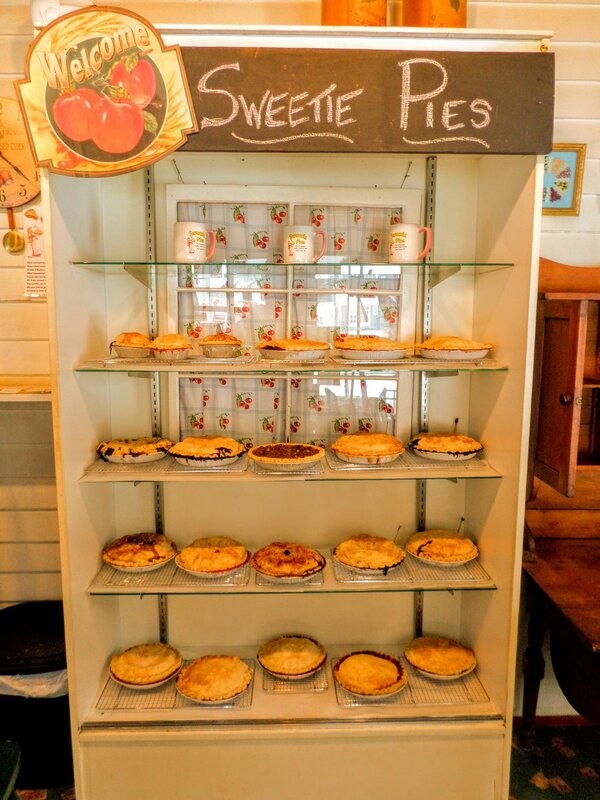 Each day we bake a limited variety of lovingly handcrafted pies to sell whole or by the slice and we always welcome everyone to stop by anytime to see what's available. At the shop you'll also find a hot cup of coffee and other beverages, an assortment of yummy pickles and preserves, as well as unique gifts. We can't wait to see you! Click Buy Online at the top of this page. All pies are shipped frozen raw. Baking instructions are included. Live near Green Bay or the Fox Valley? Learn about our annual Road Trip Delivery. Click Buy Online or Road Trip at the top of this page. All pies are delivered frozen raw. Baking instructions are included. Please call to inquire about availability and placing an order.